This is an adjustable back strap. 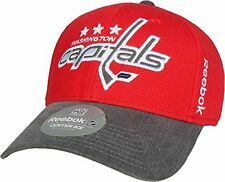 This hat is in the WASHINGTON CAPITALS Team Colors The custom embroidery really makes this style hat look great. 6 Panel with Vents. Curve Bill. 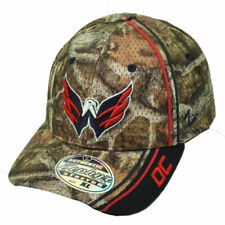 This HAT is a great item for yourself or for the WASHINGTON CAPITALS fans in your life. Be on the lookout for randomly inserted base set short prints, rare team color parallel sets numbered to 2018 and ultra-rare silver color parallel sets numbered to 18. 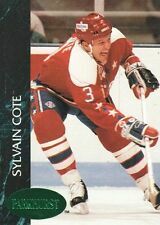 Team: Washington Capitals. Display Cases. NHL CCM cotton Washington Capitals T-shirt in size EXTRA LARGE measures 24.5" armpit to armpit Front length measures 27" Machine washed and dried Double seams and tattered edging Stitched letters and patch on front Excellent condition. Very soft. Shipped with USPS First Class Package. This is the commemorative patch for the 2018 Stanley Cup Finals Championship and is officially licensed by the NHL. This patch is designed for commemorative, nostalgic display, and collection. The patch measures approximately at 4.5 inches wide X 4 inches tall, and comes fully packaged and sealed. PATCH STYLE: IRON ON OR YOU CAN ALSO SEW ON. PATCH SIZE: APPROX. 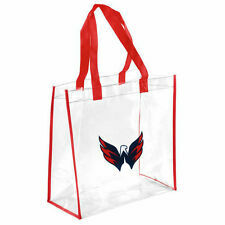 Official/Authentic NHL Washington Capitals SGA/Fan Gear. New/Excellent Condition. You get exactly what’s pictured. Mitchell & Ness. Size: snapback. Red Sport: NHL - Hockey. Fantastic quality as always from Wright & Ditson. Washington Capitals 2019 Stanley Cup Playoffs Round 1 SGA Rally Towel AllCaps. Condition is New. Shipped with USPS First Class Package. Preowned, youth, size Large / XL, black, NHL, Washington Capitals, sewn, CCM, jersey. 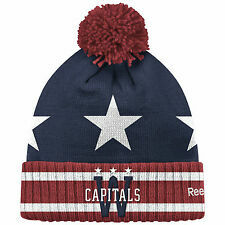 Grab this unique item for yourself or your favorite Washington Capitals fan! Material: 100% Cotton. Made in the USA. The shirt has the NHL Logo, "C", Washington Capitals and NHL label on front and Ovechkin #8 on the back. The shirt also has the Capitals Eagle logo on both shoulders and #8 on both sleeves. 18" across the chest and 21" from collar to front hem. Flag Is Crafted With Durable 100% Polyester Great For Flying or Hanging On A Wall. Embroidered Retro Team Logo Center Front. Mid Crown, Structured Cap. Best Fits Hat Sizes 7 - 7 1/2. HAT TRICK FAN GEAR. Adjustable Plastic Snap back Strap. Content: 80% Acrylic 20% Wool. Sewn Eyelets and Button. FANMATS Steering Wheel Cover features your favorite team and dresses up your vehicle interior. Customize your ride and announce your team spirit with pride. Perfect for the car, truck, SUV, Van to show your support of your Favorite Team! 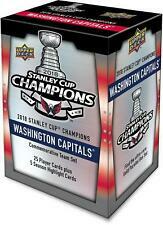 Washington Capitals 2019 Stanley Cup Playoffs Game Program from Capital One Arena Round 1 Game 1 vs. Carolina Hurricanes Condition is New. Shipped with USPS First Class Package. One (1) 2019 Stanley Cup Playoffs "Dueling Puck" for Round 1 between the. 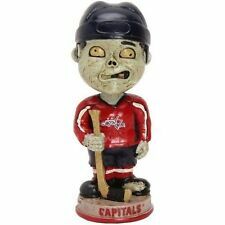 Washington Capitals. Carolina Hurricanes. The puck's front is adorned with the logos of the teams with the Stanley Cup. The puck's back shows the NHL shield and a NHL hologram sticker. Flag is dye-sublimated with beautiful bold colors.Bright Color with Fade Resistant - The Color is Sharp and Vivid and The Dye Has Been Processed for UV Fade Resistant. Washington Capitals Jersey Youth Large XLarge. Condition is Used. Shipped with USPS Priority Mail. 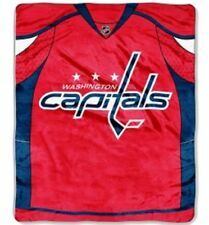 Washington Capitals 2019 Stanley Cup Playoffs RD 1 GM 2 - Rally Towel AllCaps. Condition is New. Shipped with USPS First Class Package. Washington Capitals T-shirt (Medium). Condition is New. Shipped with USPS First Class Package. 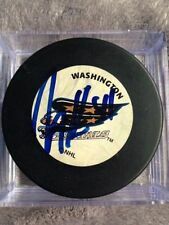 Show your NHL Team spirit with this 2018 Stanley Cup hockey puck featuring the Washington Capitals! 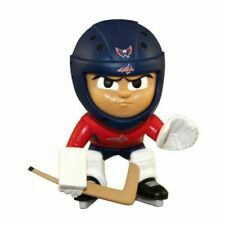 2018 Stanley Cup Champions - Washington Capitals. NHL Stanley Cup Champions Souvenir Puck. Team image group shot in full color for a rich look.